The winners of the Orwell Youth Prize 2016 were announced at the Celebration Day, held at Pembroke College Oxford on Friday 24th June 2016. Every entry was reviewed by at least two assessors. 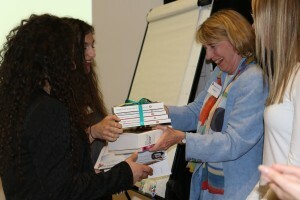 The winners were chosen by Professor Jean Seaton, Director of the Orwell Prize and Amelia Gentleman, Social Affairs Writer at the Guardian. The Prizes were presented by Bill Hamilton (Trustee of the Orwell Youth Prize and Executor of the Orwell Estate), Professor Jean Seaton and Rachel Goode of Oxford University Press. Ben Ettridge, Are we setting children up to fail? Maeve Dolan, Why must we suppress thought process?